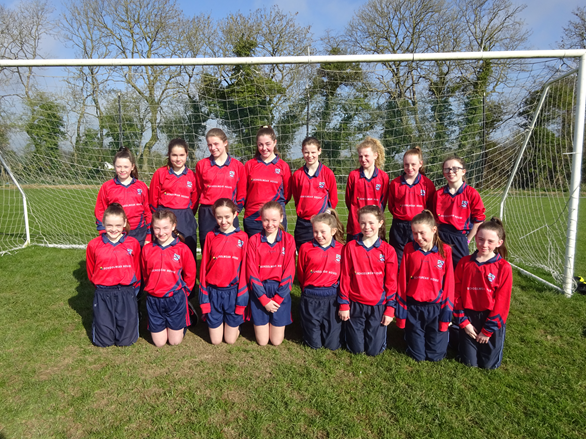 On the 29th March 16 girls went out to represent St. Paul’s in the MDL in Navan. The first match for the second team against was extremely competitive with a 1 all draw which was scored by Ciara Coroner. The second team unfortunately had a match straight after their first one and were playing against White Cross this match was one of the most competitive for the second team, at the last few minutes St. Paul’s scored an amazing 3 goals but unfortunately it wasn’t enough and St. Paul’s lost by won goal with the score being 3-4 to White Cross. St. Paul’s third and last match was once again extremely competitive. This match was against Dunboyne. The girls played amazingly and with luck not on their side they lost 4-5. All the girls on the second and first team played amazing and even better the first team got through to the play offs!! We all wish them the best of luck and let’s hope they do amazing.